Discover the delight of locally sourced and home cooked food. Call The Crosby Village Inn for a quality dining experience in our village pub and local restaurant in Thornton le Beans, Northallerton. Visit our country village pub for delicious home-cooked food and quality cask ales. The Crosby Village Inn offers stunning surroundings and a wonderfully relaxing atmosphere for you to enjoy. Experience the beauty of North Yorkshire. Owners Chris and Moira have years of experience in hospitality, and go above and beyond to make your experience the best possible. Delight in an authentic Yorkshire pub experience. We serve four exceptional cask ales, premium lagers and a comprehensive selection of wines and spirits to enjoy by a roaring fire during the winter months. The pub has been around since the 1750s and is aching with history and character which can be absorbed in the small dining areas with horse shoe shaped entrances indicating the pubs equine connections of the past. We have ample car parking available for your convenience. Celebrate in style with help from The Crosby Village Inn. We have a wealth of experience in providing a professional dining service for all types of party celebration. Get in touch today to hear more about what we have to offer you. 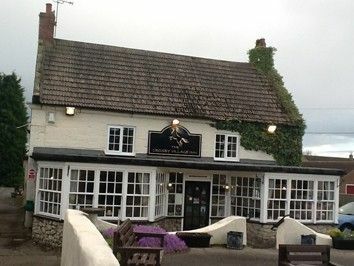 Visit The Crosby Village Inn, which is located in the centre of Thornton le Beans. Our village is situated half a mile to the East of the A168, and midway between the North Yorkshire market towns of Thirsk and Northallerton. The pub is usually busy with visitors to our caravan site and locals all year round with tails to tell at the cosy bar whilst other benefits featured are its proximity to the delightful North Yorkshire tourist attractions.